Today is the 2 year anniversary of the first post going live on Miss Zarabelle and I cannot believe it! My first ever post was a two part travel diary of spending New Years Eve with 3 of my best friends down in London and you can read Part 1 and Part 2 if you want to see where it all began! I had read blogs for years before finally plucking up the courage to start my own. I have always loved writing, from starting a family newspaper and forcing all my relatives to buy it for 50p to huddling under the covers with a torch and a notebook writing stories after my bedtime, as a child I was always writing something. As an 'adult' I feel like blogging has allowed me to recapture my passion for writing and has given me a wonderful audience to write to and so many incredible opportunities which I still can't quite believe. I don't know if I've ever talked about why I chose the name Miss Zarabelle and where it came from. When I was young, my grandparents used to call me Zarabelle because they said it meant beautiful Zara. It's a sentimental nickname and I thought it encapsulated the pretty pink layout I've chosen - if you don't know me in real life, I have a lot of pink. Strangely, I wouldn't say it's my favourite colour anymore though, I also love yellow, however I think pink is slightly less offensive on the eyes. Especially 'millennial pink'. *heart eyes emoji* I did start out with the name 'Adventure is Calling' which I also loved but I thought Miss Zarabelle was a little more unique and personal to me, as that is what I wanted my content to reflect. When I started my blog I was constantly thinking it wasn't good enough, that it didn't look as glossy as some of my favourites that I had been reading for years, that my photography wasn't sleek enough. I knew what I wanted my blog to look like and it wasn't. I knew that blogging was a lot of work, even when I was only posting diary like travel updates or ramblings I wanted to make sure it was of the highest quality I could produce. I spent hours writing each post and thinking of which photographs to use. 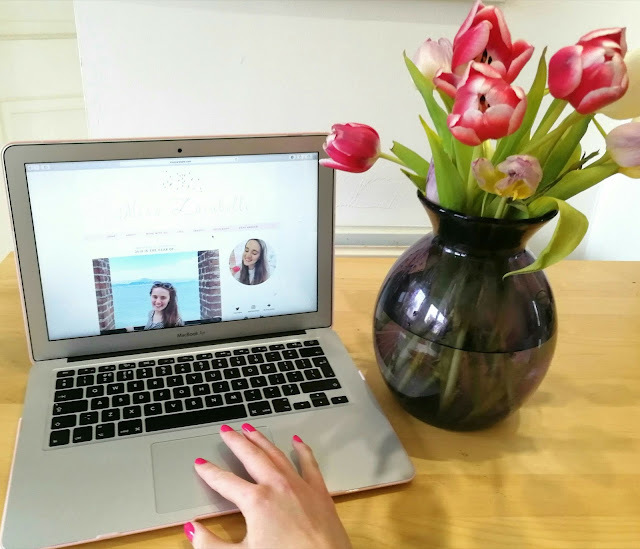 Whilst I still spend hours on every post there's also the extra not hours on social media promoting posts and interacting with other bloggers (one of my favourite parts of blogging for sure!) not to mention teaching myself SEO, working on that DA and figuring out the basics of HTML, and all the other terms which 2 years ago would have meant nothing to me. Whilst I don't often talk about my blog in 'real life' I am so grateful to everyone who reads my posts and supports me. I get so nervous to tell people that I have a blog and most of the time people will find it by accident and ask me about it and I close up. There is this general fear amongst many bloggers of talking about their blogs to friends or new people, that people are going to secretly judge you (I don't even know what for but I'm sure a lot of you know what I mean) or that they are going to think you are weird for sharing your life online. I'm getting to the point though where I am so proud of what I have created online that I want to channel that and be a bit prouder of it in real life too. When people ask what my hobbies are or what I do in my spare time (laughable thought, I have no spare time when I am at university) then I want to be able to confidently say I have been blogging for two years. I have thrown everything into my blog so far in 2018 and I hope it can continue throughout the rest of the year. I have some really exciting collaborations planned for the next few months (I cannot believe this still!!!) and I am so excited to see where my blog is at this time next year. I know that it is something I definitely want to keep putting time and effort into because I get so much out of it. My posts tailed off slightly at the end of 2017 as uni and exams took over, but I think having my blog is such a therapeutic creative outlet that I need to find a better balance in 2018. I still don't tell everyone I blog, because it has zero relevance to my career. I love that your name comes from your grandparents too, super cute! Happy second birthday to your blog. I love how you got the name of your blog. 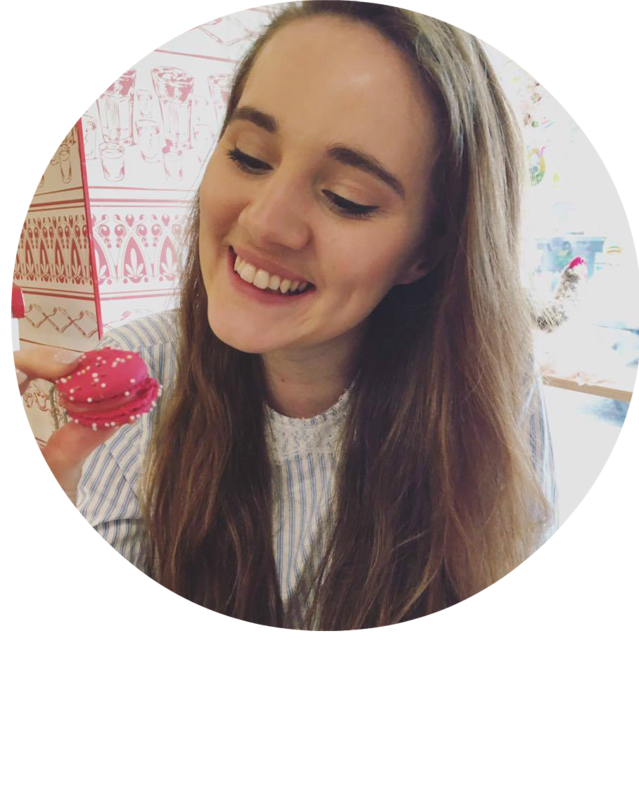 Massive congratulations on your two years of blogging, Zara! It's so cute that your blog is named after your grandparents' nickname for you, I love that it's so personal! I don't think you need to worry about your pics not being good enough or your blog not being sleek enough in the slightest, I've been so impressed by what I've seen of your blog! What really matters is the love and passion you pour into blogging and you have that in abundance!